When you think of Coney Island, cutting edge technology probably doesn’t come to mind. But more than a century ago, this little enclave of amusement and thrills was where the world’s very first working escalator was installed. 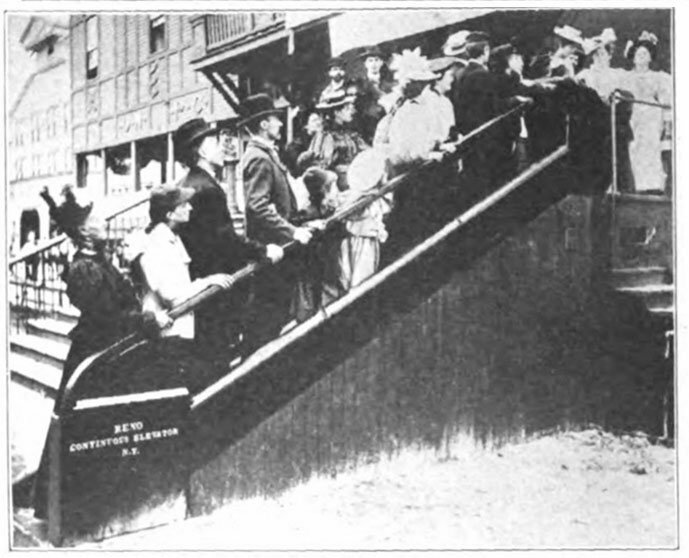 In 1896, engineer Jesse W. Reno brought his patented “Endless Conveyor Elevator” (though he called it the “inclined elevator”) to the Old Iron Pier at Coney Island. 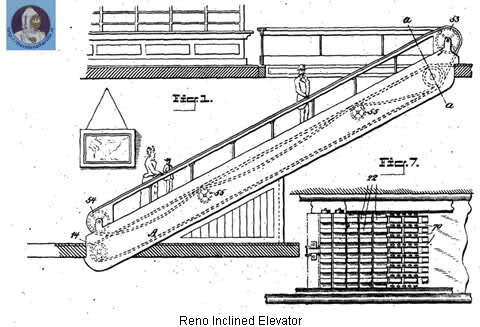 Reno’s invention stretched a mere seven feet angled at 25-degrees, and instead of steps, the escalator used a conveyor-like belt fashioned with cast-iron cleats for traction. The Coney Island installation is said to have carried over 75,000 patrons over its two-week residency. While underwhelming when compared to the escalators we see stretching across malls and airports today, for the time, Reno’s invention was quite extraordinary. A few short months after its Coney Island debut, the escalator was temporarily installed at the Manhattan entrance of the Brooklyn Bridge. It proliferated in the years that followed, added to numerous department stores and railway stations in the Northeast and England. Reno eventually sold his patent to Otis Elevator Company and reaped enough cash from the sale for early retirement.